Discussion in 'The Lounge' started by cannondalejunky, Jul 1, 2008. That cake... is just wrong. 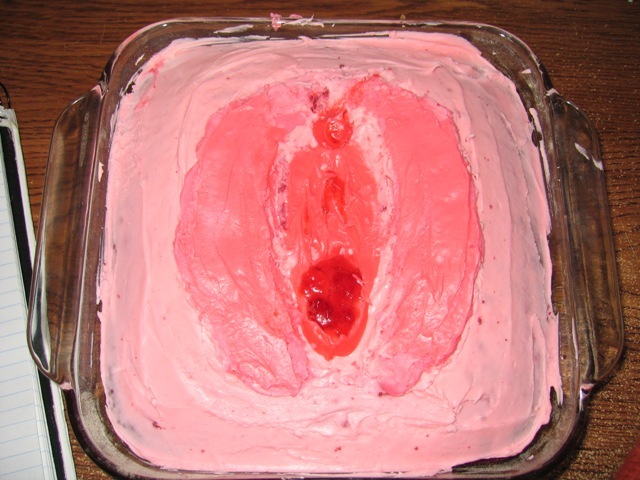 whats wrong with a cake with lips on it? Dude, I only had few minutes to whip up a cake for CJ... I just sent my assistant for a block of Ghirardelli so I can shave a chocolate landing strip for him. I'm sure Jenna Jameson modeled for it. looks like someone took one of those pumps to it to enlarge the lips!! and whats up with the dark red spot, is aunt flo in for a visit? Seconds remaining until this post is locked, deleted or otherwise destroyed.. There was a thread, but it got deleted. OMFG SoMEOen deleted teh THREAD!!! !11 this is BuLLsH*T!!! Well happy birthday one day late.